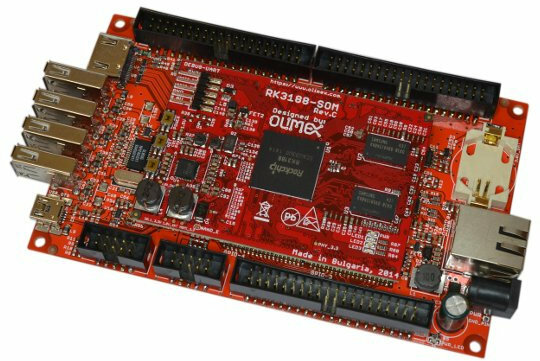 Olimex showcased prototypes for both Texas Instruments Sitara AM3352 and Rockchip RK3188 system-on-modules and evaluation boards in May 2014. However, development and production took a bit longer than expected, and the company has just announced availability of the platforms now. You can find some documentation for RK3188-SOM on the Wiki, and there’s also a page for RK3188-SOM-EVB which remains empty for now. Hardware design files will be released at least for the baseboard. RK3188-SOM, RK3188-SOM-4GB (with 4GB flash), and RK3188-SOM-EVB can be purchased on Olimex’ RK3188 product page for respectively 50, 57, and 70 Euros, which discount available for larger quantities. There’s nothing in the Wiki about AM3352 boards yet, but Android and Debian will be supported, and you can have at look at the SoM schematics (PDF) and baseboard Eagle files. 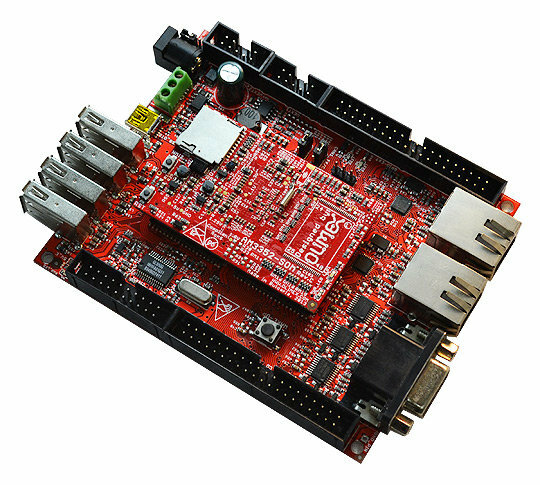 AM3352-SOM and AM3352-SOMEVB can be purchased for 37 and 60 Euros on Olimex’ AM3352 product page. Industrial temperature version of the SoM can be manufactured on request for 5 Euros more, at an order of at least 100 pieces.